The Routledge History of Women in Europe since 1700 is a landmark publication that provides the most coherent overview of women’s role and place in western Europe, spanning the era from the beginning of the eighteenth century until the twentieth century. In this collection of essays, leading women's historians counter the notion of ‘national’ histories and provide the insight and perspective of a European approach. Important intellectual, political and economic developments have not respected national boundaries, nor has the story of women’s past, or the interplay of gender and culture. The interaction between women, ideology and female agency, the way women engaged with patriarchal and gendered structures and systems, and the way women carved out their identities and spaces within these informs the writing in this book. 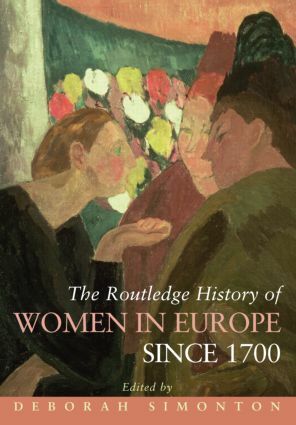 For any student of women’s studies or European history, The Routledge History of Women in Europe since 1700 will prove an informative addition to their studies.